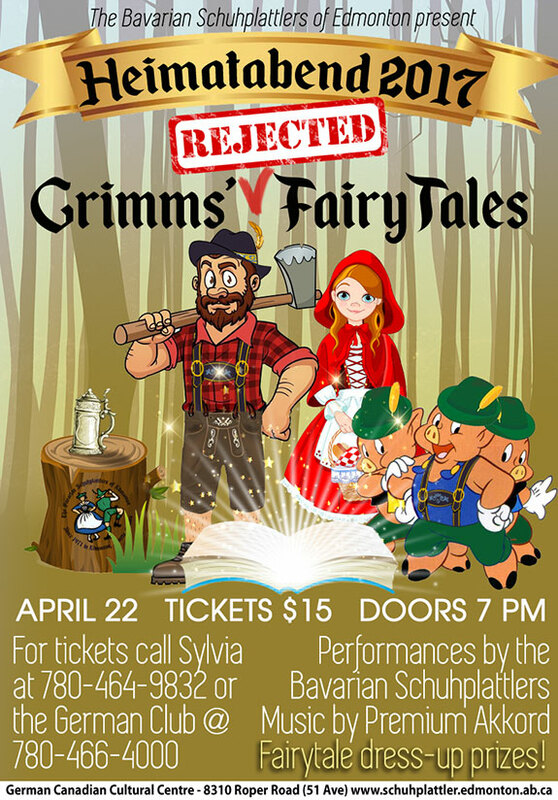 HEIMATABEND 2017: GRIMM’S REJECTED FAIRY TALES… it’s coming on 22 April 2017 in Edmonton at the German-Canadian Cultural Centre! Come see the Bavarian Schuhplattlers of Edmonton put on their annual show at our club! See a Bavarian version of some famous Fairy Tales! Please circulate widely. Tickets go on sale on Thursday, 23 March 2017! Don’t miss it!